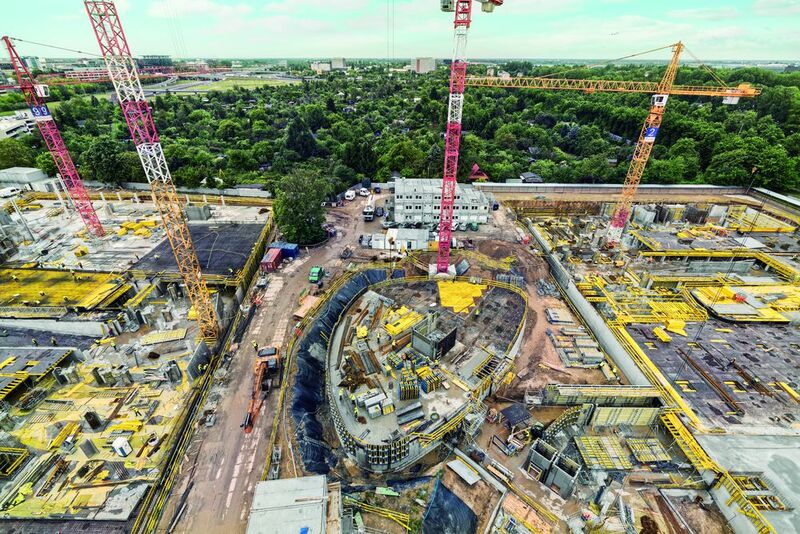 Blog Doka UK 5th October 2018.- Over the next decade, the drone, adapted to the demands of construction, will become one of the most advanced and profitable technological allies in the construction sector. Below we highlight some of the most interesting figures and conclusions of analyses on the use of the drone in the construction of civil engineering, residential and non-residential works. Increased efficiency – a site survey can be up to 400 times quicker! 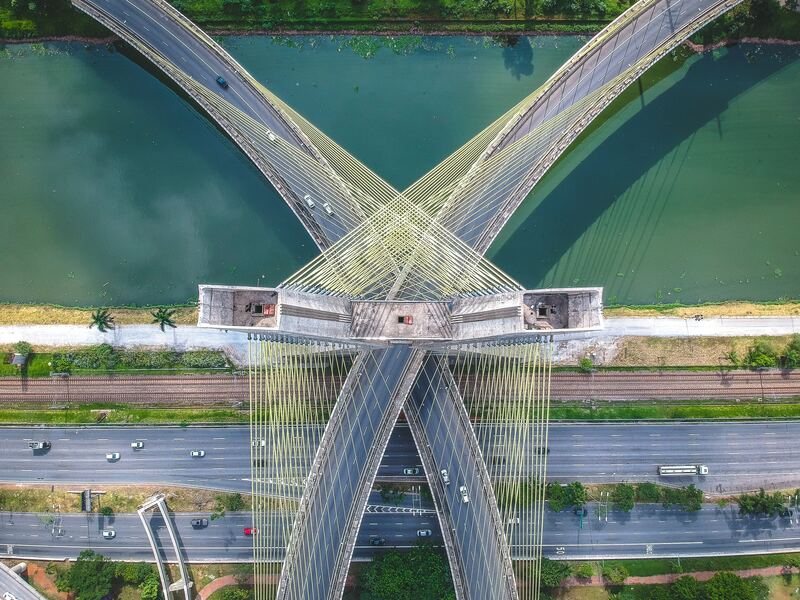 In addition to increases in productivity, lowered costs and an enhanced data sets (improved photographic visualisaton in 2D and 3D), there are also additional benefits of using drones in the construction sector. Drones could increase survey grade accuracy- compared to traditional, labour intensive land surveying, accuracy is typically 3cm horizontally and vertically, with a pixel in an orthomosaic map representing 3cm in real life. 628,000 people will be working in the drone economy by 2030 in the UK alone as reported by PwC in their report published earlier this year. The widespread use of drones throughout multiple industries is expected to create more jobs that require creative individuals who will be able to use drones to build, maintain, operate and regulate related technologies. The PwC report, Skies without limits (https://www.pwc.co.uk/issues/intelligent-digital/the-impact-of-drones-on-the-uk-economy.html), analyses the broader economic impact from drone technology, with a particular focus on seven sectors from manufacturing and construction to transport and logistics. It reveals significant opportunities for economic gains, with the overall uplift in drone usage potentially growing UK GDP by £42bn (or 2%) by 2030. 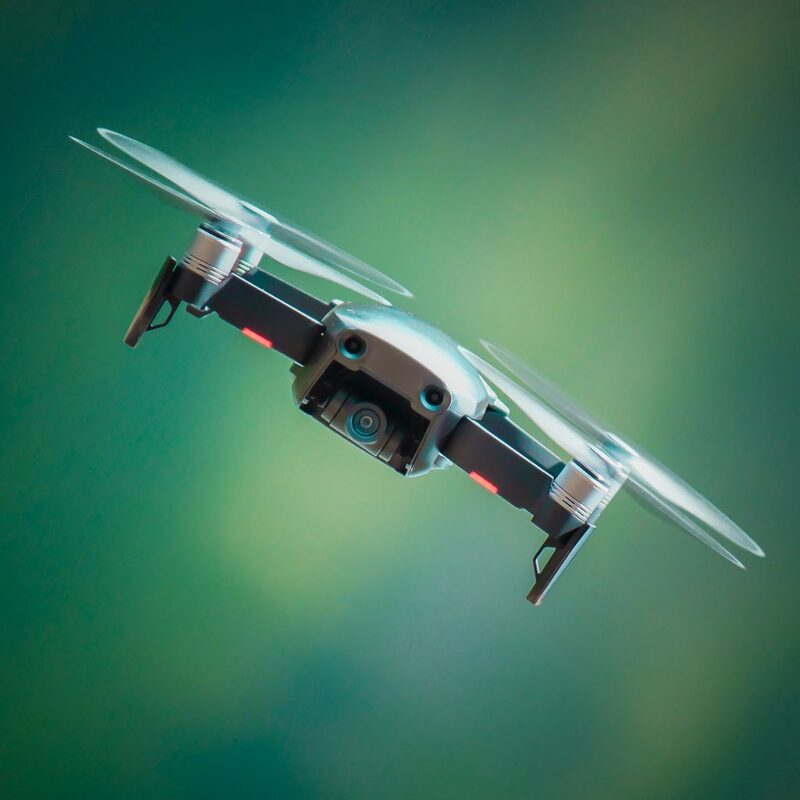 In the construction sector, the report suggests drones are already providing cheap and efficient ways to map sites and track construction progress against schedule and the original design as well as inspecting existing structures for ongoing wear and tear. They also offer an effective method of collecting three-dimensional information and integrating it with existing building information modelling (BIM) systems. Elaine Whyte, UK drones leader at PwC, added: “Drones have the potential to offer a powerful new perspective for businesses across a variety of industries, delivering both productivity benefits and increased value from the data they collect. The UK has the opportunity to be at the leading edge of exploiting this emerging technology, and now is the time for investments to be made in developing the use cases and trial projects needed to kickstart our drone industry”. 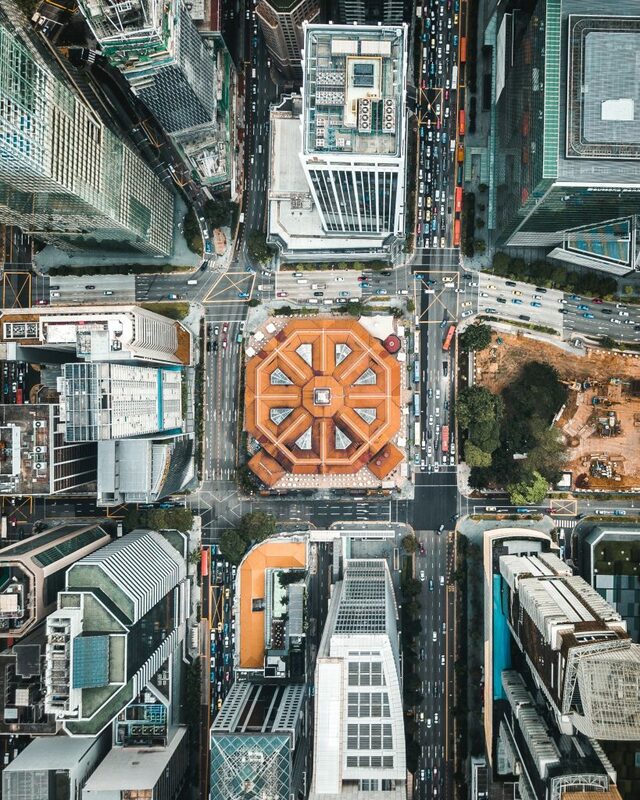 Drones provide aerial footage used to collect three dimensional information that is integrated with Building Information Modelling (BIM) systems, helping to create accurate representations of projects used to gauge measurements among other valuable uses. The report suggests that by embedding periodic drone flights throughout the construction life cycle could provide a ‘golden record’ of all construction related activities. This means that managers and project leaders can keep track of all operations until the project is completed. Data collected by drone technology can be accessed via the cloud that would be available to many stakeholders across multiple locations working on a project. This would eliminate arguments over project status and could be used as evidence in case of litigation. The construction industry is moving towards to a world where digital information is an essential part of conducting business due to the many benefits it brings. Of the third of respondents that were already using drone technology, the majority (60%) had been using it for less than a year. But an important sub-group of this set (11%) had been using the technology for three to five years – making them very early adaptors indeed. The high-quality information collected by drones can give users the opportunity to view a site in real-time as it progresses, to better manage resources and keep projects on schedule. Additionally, drone technology will give those in the industry the ability to view a project without having to step foot onsite.By closely monitoring and analysing this up-to-date imagery and data, construction projects will save time and money. In addition, drones can improve communication and collaboration between different parties, onsite and offsite, to enhance planning as a site grows. Within this industry, its commercial adoption is being accelerated by the shift towards more and more companies using BIM (Building Information Modelling). The UK is currently at the forefront of BIM methodology which has been praised as a digital revolution for the construction industry. So how can drone technology be used within BIM? 3D modelling:3D models (point cloud, textured model) over large areas or objects can be easily created using drone technology or can be combined with ground-based laser scanning and conventional total station surveying to produce the complete 3D model. These models can be imported into BIM or CAD packages so that comparisons can be made with the design plans or it can be used to create an intelligent 3D model.Furthermore, they are capable of spanning a project’s entire lifecycle, from the initial planning stages through to the operation and maintenance. As a result, onsite and offsite management can enjoy a clearer understanding of a project’s performance by maintaining more consistent data and responding faster to change. Progress monitoring:Drones are one of the best way for companies to monitor work progress on a project. They provide managers with data to better track a project’s progress, manage resources, reduce downtime and keep projects on schedule and within budget. They also allow teams to verify the ‘as-built’ project status against design models using 2D and 3D data. 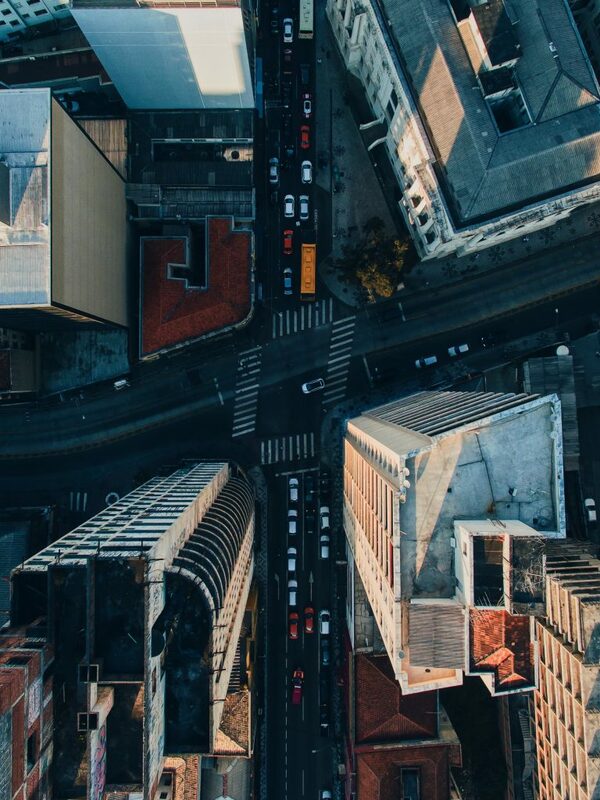 Orthomosaics:High resolution aerial imagery can be captured on the whole project area and all of the images can be merged to form a seamless mosaic. This data can be used within BIM to understand the development area in great detail, while the 2D image is orthorectified so measurements can be taken from it. Let’s take an existing building where a laser scanner is used to acquire data on the inside while a drone can be used to capture data on the external of the building and the surrounding area. Integrating information from two different datasets enables a complete representation of a building to be achieved. This information can then be used for a variety of purposes, including redesign, visualisation of the building inside and out for prospective customers and as a historical record. A key benefit of using drone technology, and the specialised photogrammetry software used to create the 2D/3D maps or models, is that the data can be imported into BIM or CAD packages in various file formats, such as dwg, dxf, xyz, las, laz, obj and kmz. This makes integration of the digital 2D/3D data into workflow processes straightforward. A report by Goldman Sachs makes it clear that the largest expected take-up for commercial drones is in construction, primarily in surveying and mapping sites. It estimates that total global spending on drones in the commercial market will be $100bn (~£75bn) over the next two years. Of that, approximately $11.2bn (£8.5bn) will be generated by the construction industry. We now list a summary of benefits of using the drone in construction, including the review of recent analyses from specialised journals – pcbtoday and Construction Index. The forthcoming bill follows newly-proposed rules from the European Aviation Safety Agency (EASA). These seek to create a regulatory environment to foster the development of all civil unmanned aircraft systems. Whilst these rules will create a new framework that should ensure consistent safety standards for drones, clarity is needed around restrictions before the use of drones is commonplace on the construction site.As with any regulatory introduction, organisations will have to adapt. Whilst this could mean more work is needed to ensure relevant processes are compliant, the long-term gains far outweigh any short-term hurdles.